Phipps Houses, a non-profit developer and owner of the Lambert Houses in the Bronx, is moving ahead with its plans to demolish 14 buildings at the Lambert Houses complex. Originally opened in the mid-1970s, the houses will be replaced with taller towers that will offer twice as many affordable housing units. Adam Weinstein, president and chief executive of Phipps Houses, cited the need for improved safety as a core reason for redevelopment, according to a report by The New York Times. 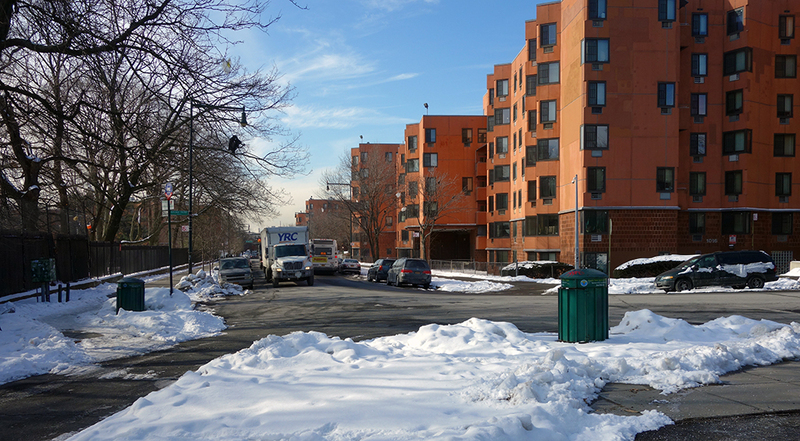 At present, the Lambert Houses complex contains five groups of six-story buildings, with 731 affordable housing units and approximately 40,000 square feet of retail space. After redevelopment, there will be 1,665 new units, 61,100 square feet of retail space, and a possible elementary school for 500 students, according to DNAinfo. Should the School Construction Authority decide not to build the school, another residential complex with 55 units will take its place, according to the developer’s proposal. With papers filed in May of this year, the overhaul is set to cost $600 million and will take place over course of 14 years. Phipps Houses plans to shuffle residents around the complex as each building is demolished and built anew, at which point they will be returned to a new apartment unit, but the plan has left some residents skeptical. Longtime resident Anita Molina, 66, described the news as bittersweet to DNAinfo, saying “the only thing I hear around the neighborhood that people are worried about” is being forced out.